Hub printable. Compatible with color and mono-color thermal printers from Rimage and others. Write compatible with 8X DVD+R drives from HP, Sony and others. Rugged, reusable "cake box" spindle to protect from dust and damage for long term storage. No hassle Limited Lifetime warranty. Toll free 1-800 Technical Support Line. View More In DVD+R Discs. 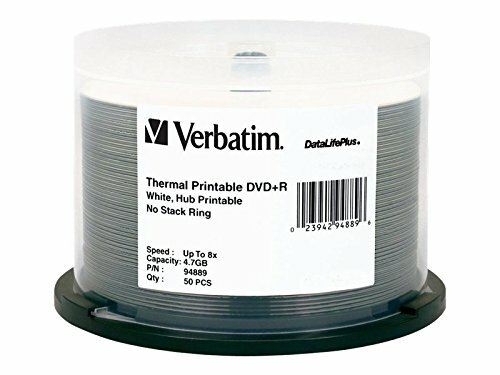 If you have any questions about this product by Verbatim, contact us by completing and submitting the form below. If you are looking for a specif part number, please include it with your message.